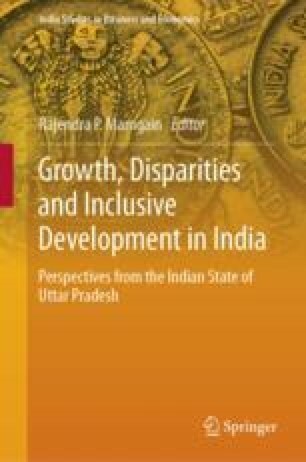 India’s high economic growth trajectory along with substantial reduction in poverty over the last two and half decades has been widely appreciated and analysed. The growth process, however, has not percolated evenly to all sections and all regions of the country. The process, in fact, has been marked by rising economic and social inequalities along with unequal access to opportunities. The pursuit of ‘inclusive growth’, defined as economic growth with equality of opportunity, faster increase in income levels and overall well-being of the poor and other deprived social groups and regions, has emerged as a vital element of the development agenda. The policies and programmes initiated in the Eleventh Plan towards achieving such ‘inclusive growth’ and their renewed continuation in the Twelfth Plan onwards only indicate the commitment of the government to promote inclusive growth. Such policies and programmes are not only introduced by the centre, but the states also have a measure of autonomy in initiating them to impact on the social and economic goals of inclusive development.